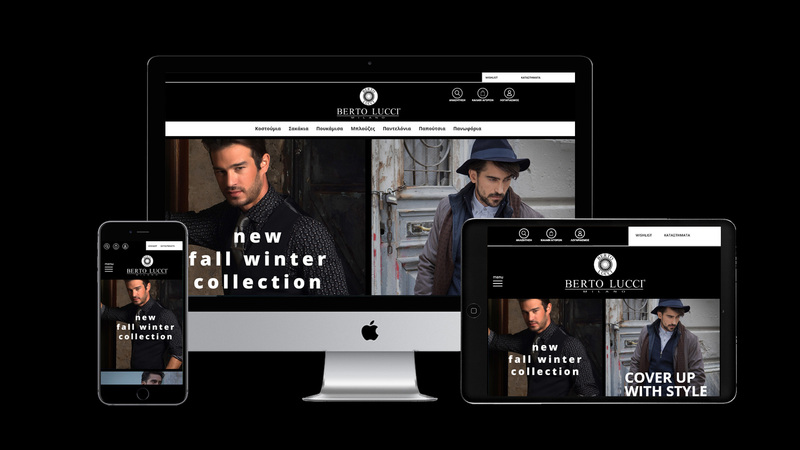 The favorite fashion brand for men Berto Lucci just got a new eCommerce website! Berto Lucci is a successful men’s clothing brand, with a strong retail presence, thanks to its successful philosophy of combining stylish and constantly updating yet affordable European design with family business values people can count on. This mindset had to stand out in the new online store, of course, emphasizing on the comparative advantage of the brand in a highly competitive market. 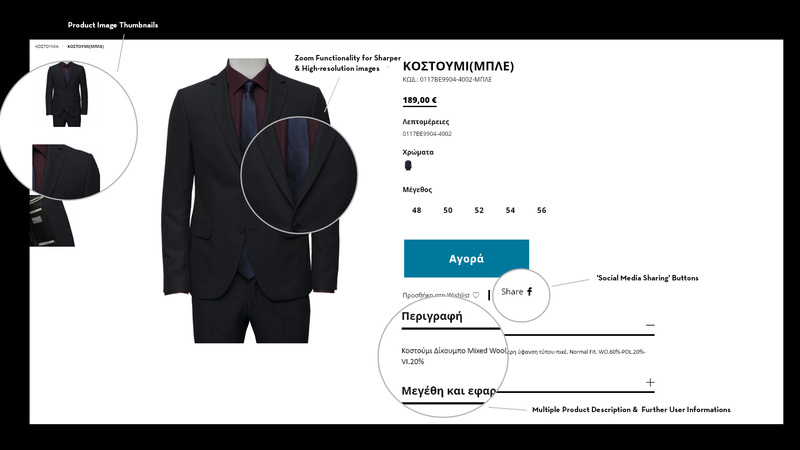 Such an approach was necessary, in order to develop an e-shop appealing to the target audience as well as to the existing client base. – Create an online store that would offer a smooth, easy shopping experience. – Insist on a customer-first, functional set of features. – Design a refreshed look that brings out the fashionable character of the brand and speaks to the stylish side of the modern man. – Highlight the products’ unique features to help the customers feel safe about their choices. – Keep in mind that a large proportion of online retail traffic comes from mobile devices. – Develop an eCommerce site ready to handle special demands, offers, sales – any kind of “retail emergency”. 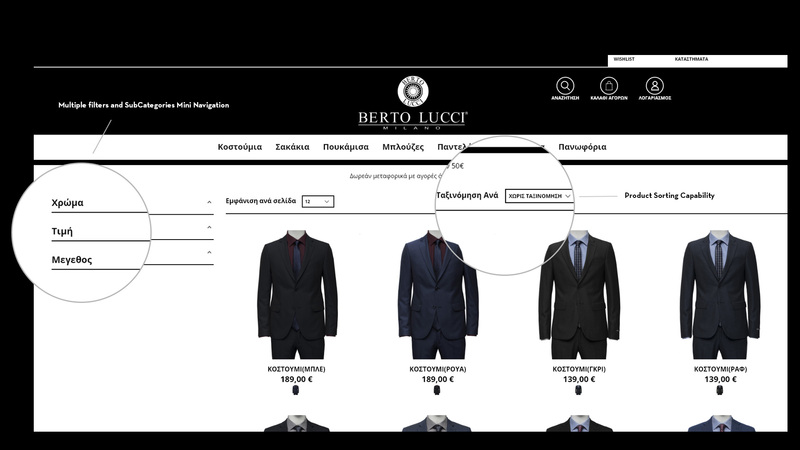 With the new Magento eCommerce website COMMA developed for Berto Lucci, the brand made a smart move in the fashion retail play: It showcased its know-how of the modern shopping trends, while proving it understands not only the rules of modern mens’ fashion but the needs of its target audience as well. The first figures of the new launch show that our choices when designing and developing the e-shop were right. It is now easier for the visitor to find exactly what they need, the browsing experience is smooth and entertaining, the clicks needed to complete a purchase are less, which naturally leads to boosted sales. The functionality that comes with perfect styling has strengthened the loyalty of the large clientele of the brand, but also created a new favorite shopping spot for the modern, fashion conscious man, who is the target audience of the brand.